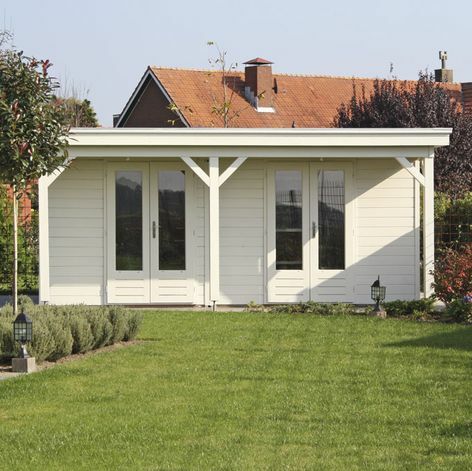 The Prima Tom is a flat roofed double room summerhouse with canopy overhang. The roofing material consists of a one piece rubber matting edged all around with aluminium strips. 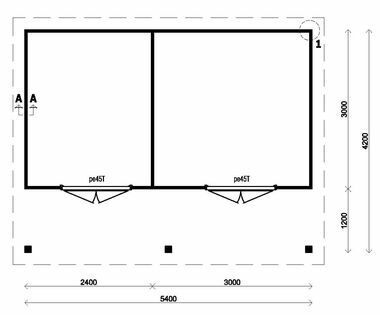 Size approximately 4.2m x 5.4m in 28 or 44 mm log thickness. The standard design includes 2 double doors PE45H fitted with double glazing. The internal wall divides the summerhouse into 2 separate rooms. The front canopy measures 120cm and the posts are 12 x 12cm.